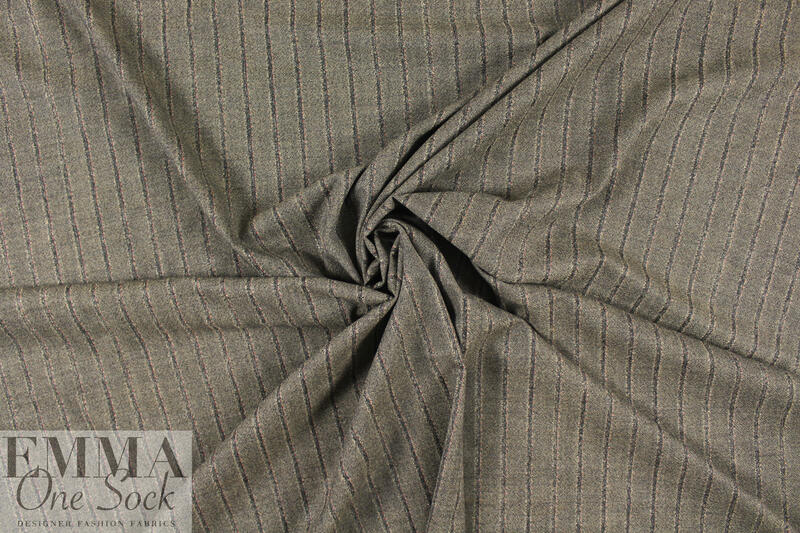 This reversible all-wool Italian suiting comes from designer Richard Ty1er, and it is a lighter suiting weight with a very soft and refined hand, and a lovely drape with just a bit of body. 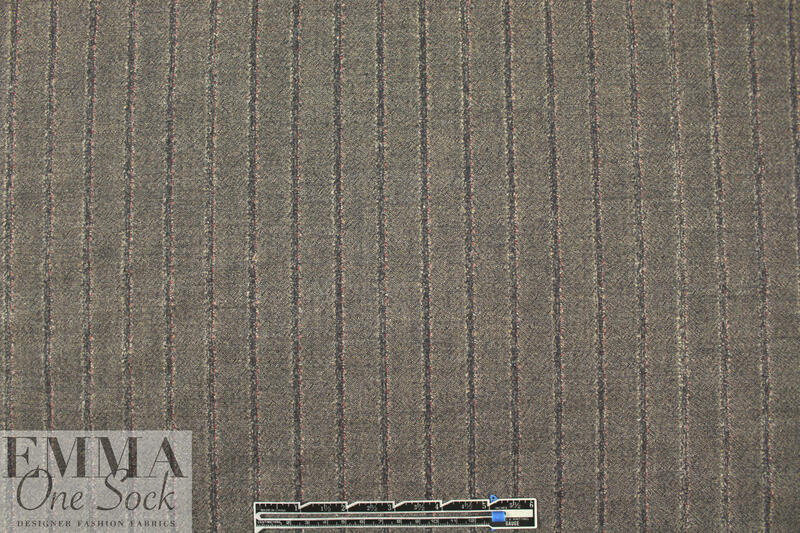 The stripes run vertically and are nearly an inch apart, and the earthy coloring is a mix of indigo-tinted black and sand, with a teeny touch of red on the darker side (PANTONE 19-3712, 12-0910, mixed together in various proportions). 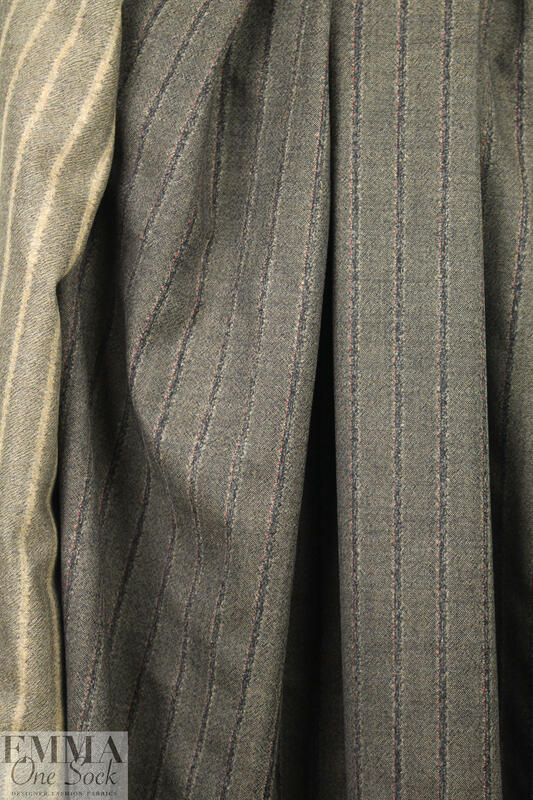 You can see the twill weave in the wider areas and the stripes are a bit fuzzy (not in texture, but in appearance) and undefined, giving this interesting fabric a unique look. 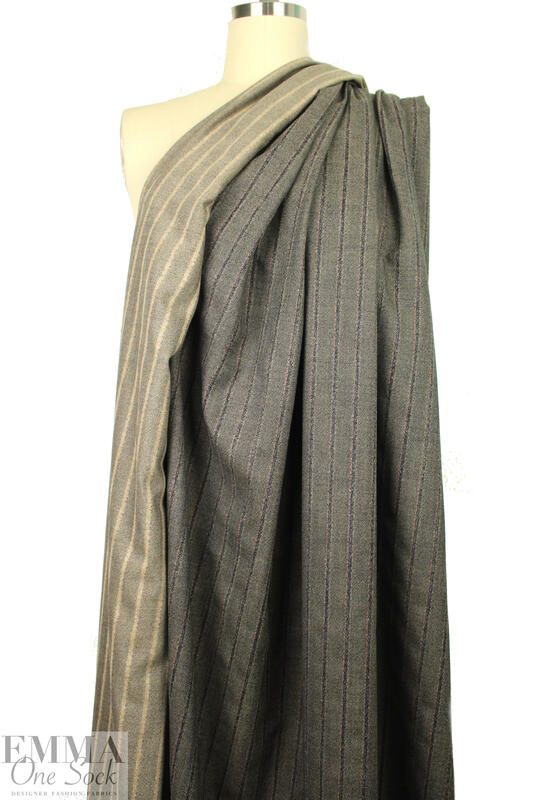 Perfect for slacks, a suit, jacket, skirt, sheath dress, etc. Play with the direction of the stripes and well as the color contrasts to create many different looks. Dry cleaning recommended.